sustainability2 - Arkas Konteyner Taşımacılık A.Ş. 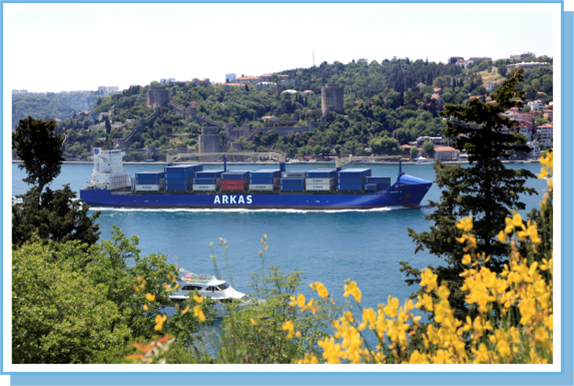 Arkas Line is a proud member of BSR’s Clean Cargo Working Group which is a global business-to-business initiative made up of leading cargo carriers and their customers, dedicated to environmental performance improvement in marine container transport through measurement, evaluation, and reporting. 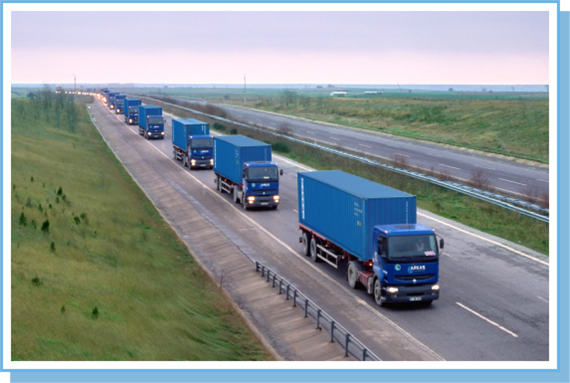 Sea transport is a vital component of the world’s economy as the largest carrier of freight around the globe. Marine shipping is responsible for about 3.3% of the global greenhouse gas (GHG) emissions. International Maritime Organization in 2009 has set the target for 15% reduction in the maritime emissions by 2018. This requirement calls for further research into minimising carbon footprint of marine shipping through collaboration between industry and academia. The MINI-CHIP project aims to respond to this call in a timely manner. Earlier research on reducing carbon footprint of marine shipping has regarded GHG emissions as an implicit objective surrogated by fuel consumption and cost which could be combined with other items (such as penalty charges). It would be more illuminating for shipping companies to analyse trade-offs in the operational decisions including energy consumption and GHG emissions as explicit decision criteria. Such approach will support informed decision making through assessing the environmental impact of the operational decisions in maritime transport. To the best of our knowledge, no prior research has addressed minimising carbon footprint of marine shipping as an explicit objective alongside service level and cost objectives in a stochastic environment. MINI-CHIP project aims to address this gap by developing mathematical formulations of marine shipping operations as a stochastic optimisation problem to minimise carbon footprint whilst optimising service level and cost. Novel metaheuristic search techniques and simulation models will be developed within a simulation-optimisation framework. The innovative solution techniques will form the core of a decision support tool for industrial applications. The prospective decision support tool will help reducing environmental impact and contributing to economic prosperity of marine shipping in Europe and around the world and contribute to the transition of Europe to low carbon economy. Now that is a member of CCWG Arkas Line will reevaluate its current operations and develop new projects to reduce fuel consumption and reduce carbon and sulfur emissions.Arkas Line already has measures in place such as optimizing trim and ballast on the ship its operates,procuring low sulfur fuel,using new generation paint that reduces friction,periodic hull bottom and propeller cleaning, using SPOS (Ship Performance Optimization System) to choose routes based on currents and weather conditions,controlling vessels routes with a program called Shipping Explorer, carrying out operations with speed optimization by using Just in Time system. Underwater hulls and propellers will be periodically cleaned on all vessels and barges. Cleaning the propellers reduces drag, enabling vessels to travel faster with the same power and thus conserving fuel. 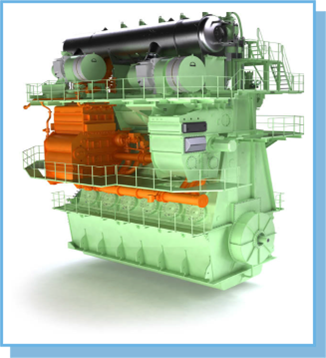 Trim Optimization programs have been designed for each vessel type and are beginning to be implemented in order to achieve fuel savings by running fleet vessels at optimum trim. Arkas ordered four new next-generation eco-design vessels.The next-generation eco-design vessels are very energy efficient thanks to their engine specifications, hull design (propeller, bulb shape, rudder and rudder systems) and hull beam. 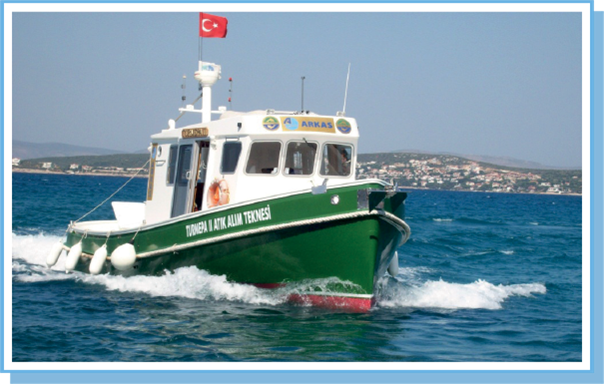 Fitted with a MAN G-type engine, the vessels achieve fuel savings of up to 25% over the previous generation of vessels, thus minimizing the release of harmful gases into the environment. The improvement in stability afforded by its broad hull enables increased load capacity and reduces the need for carrying ballast water. 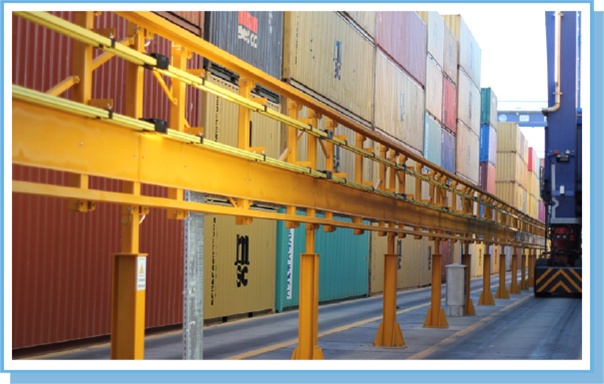 Electric Cranes RTGs (rubber-tyred gantries Project was comleted at the end of 2012.Marport achieved 84 percent energy and cost savings when it converted to electric power.CO2 emission in 2012 is 15.9 kg CO2e / TEU. This value in 2013 has been decreased to 11.5 kg CO2e / TEU. The reduction of CO2e emission value is approximately 5,500 ton CO2e /year. We have created a HSE (Health-Safety-Environment) department at our ports and have appointed Environmental Engineers and Occupational Safety Specialists in these departments.The Waste Water Treatment Plant that has been built treats all types of industrial and domestic waste water to obey the regulations. The Waste Management System separates waste at the source according to type and renders them harmless to the environment through recycling or disposal methods. Hazardous wastes are handed over to companies, are licensed by the government, to ensure that these types of wastes are recycled and disposed of in compliance with the law and regulations. 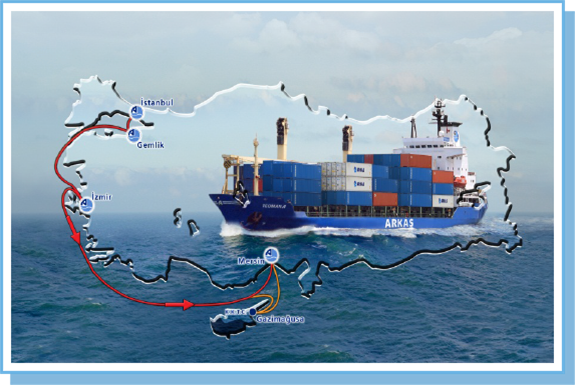 Arkas vessels provide regular weekly container service via cabotage shipments between the ports of Istanbul-Gemlik-Izmir-Mersin.Shipments that would take 20-30 vehicles several days via overland transportation and with high tonnage can be delivered via ship to the desired port in a single shipment.Thus minimising fuel consumption and contribute to the reduction of carbon-dioxide. 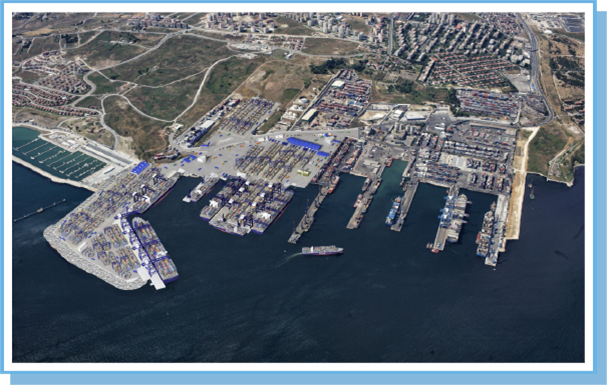 Arkas Transport delivers its used motor oils to PETDER (Turkish Petroleum Industry Association). The goal is to dispose oil without harming the environment or human health.Contributing to the reduction of carbondioxide and other harmful emissions by buying trucks with the Euro 5 emission engines. Arkas Turmepa II is a Corporate Social Responsibility project of Arkas.The boat began operations in August 2006.In 2013 she collected 210,145 liters of liquid waste and 369 bags of solid waste from 479 boats.The purpose of the boat is to gather household waste and bilge from yachts and small tonnage vessels.Arkas Turmepa II has been plying Çeşme’s coves to clean up the environment and make ship owners more aware of these issues.